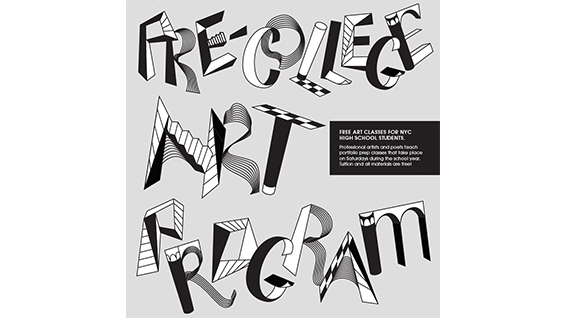 The Outreach Pre-College Art Program of the School of Art invites all New York City-area high school juniors and seniors to bring their portfolios to 41 Cooper Square, room 101 for a free portfolio review. The review is mandatory for applying to the program, but one need not necessarily apply to participate. The program offers free courses in Drawing, 3DD, Photography, Creative Writing and Contemporary Art Issues to accepted NYC-area high school students.